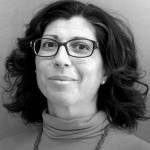 Tamara Avellán is an Academic Officer at UNU-FLORES and leads the Water Resource Management Unit. Her studies in biology led her to focus on the ecological impacts of water quality on aquatic life. Her interest in the effects of excess nutrient loads on plant morphology prompted her to look at increased sewage loads in watersheds. Dr. Avellán worked with local farmers of the small Flores Creek in Uruguay to find sustainable solutions to the increasing sewage loads of their milking parlours. Her research led to the instalment of the first constructed wetland using carefully researched endogenous plant species in 2008. Dr. Avellán obtained her PhD in 2014 from the Ludwig Maximilian University in Munich, under the supervision of Prof. Wolfram Mauser. Her dissertation looked into the optimal spatial distribution of crops based on topography, soil conditions and climate. From 2011 to 2015 she also worked at the World Meteorological Organization in Geneva, at first as a German Junior Professional Officer and later as regular staff. She supported the early phases of the Global Framework for Climate Services and led various projects on climate services in Small Island Developing States. At UNU-FLORES Dr. Avellán has returned to her roots in the world of water and its related research, looking into the linkages of water, soil and waste while reducing resource loss. Avellan, T., F. Zabel, B. Putzenlechner, and W. Mauser. (2013). “A Comparison of Using Dominant Soil and Weighted Average of the Component Soils in Determining Global Crop Growth Suitability.” Environment and Pollution 2 (3) (May 29). doi:10.5539/ep.v2n3p40. http://www.ccsenet.org/journal/index.php/ep/article/view/27860. Nagabhatla, Nidhi and Avellán, Tamara, “Physical and Environmental Dimensions” in The United Nations World Water Development Report 2019: Leaving No One Behind ( Paris: UNESCO,2019), 44-57. Schneider, Petra and Avellán, Tamara, “Water Security and Sustainability” in Encyclopedia of Sustainability in Higher Education, ed. Filho, Walter L. ( Cham: Springer,2019), n/a-n/a. Schneider, Petra, Avellán, Tamara and Le Hung, Anh, “Water-Energy-Food Nexus and Sustainability” in Encyclopedia of Sustainability in Higher Education, ed. Filho, Walter L. ( Cham: Springer,2019), n/a-n/a. Schwärzel, Kai, Ardakanian, Reza, Avellán, Tamara and Zhang, Lulu, “Nexus Approach: Resource Management for Soil Productivity” in Encyclopedia of Soil Science, Third Edition, ed. Lal, Rattan ( Florida: CRC Press,2016), 1530-1534. UNECE. (United Nations Environmental Commission for Europe) (2018). ‘Assessment of the water-food-energy ecosystems nexus in the Drina River Basin’, Geneva, Switzerland. WWAP (United Nations World Water Assessment Programme). (2018). ‘The United Nations World Water Development Report 2018. Nature-based solutions for water.’ Paris, UNESCO. Ferráns, Laura, Caucci, Serena, Cifuentes, Jorge, Avellán, Tamara, Dornack, Christina and Hettiarachchi, Hiroshan (2018). Wastewater Management in the Basin of Lake Atitlan: A Background Study. Working Paper. United Nations University Institute for Integrated Management of Material Fluxes and of Resources (UNU-FLORES). UNECLAC (United Nations Environmental Commission for Latin America and the Caribbean) (2018). ‘Lineamientos de políticas públicas: Para un mejor manejo de las interrelaciones del Nexo entre el agua, la energía y la alimentación’. Santiago de Chile, Chile. Gremillion, Paul and Avellán, Tamara (2016). Wastewater As a Resource: The Water-Waste-Energy Nexus in Sub-Saharan Africa. Policy Brief. United Nations University Institute for Integrated Management of Material Fluxes and of Resources (UNU-FLORES).